A biotin deficiency doesn’t occur very often, but not getting enough can leave your hair and skin in less than optimal condition. Getting enough biotin can also ensure better energy levels, balanced blood glucose levels, and is simply one of the B vitamins that you don’t want to be without for too long. Luckily, it’s pretty easy to stay topped up on it, and very rarely will the average person run a shortage. Mushrooms are a healthy food overall, but if you’re concerned about your biotin levels, you may want to be sure to include mushrooms in your cooking, or gravitate more towards menu items that include them. 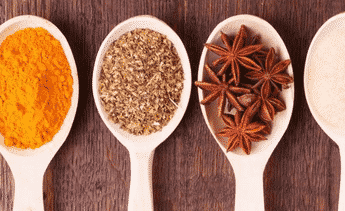 In addition to being a good source of biotin, they bring with them a mix of healthy nutrients and minerals, and shouldn’t be overlooked as a healthy food. Research shows that although it’s hard to identify exactly how much biotin is in mushrooms, it falls right around ten percent of your daily recommended value. 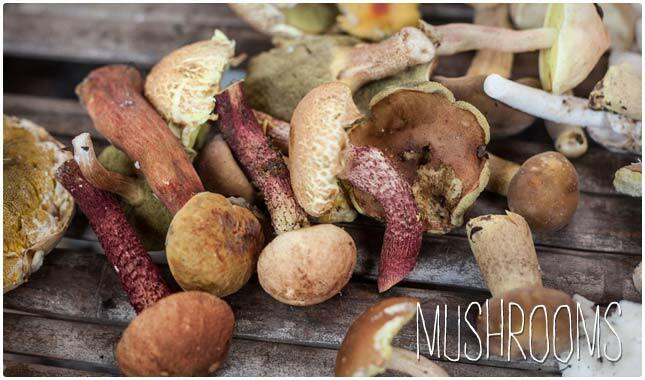 Try different types of mushrooms to see which you like best. Tuna is a decent source of biotin, and also has plenty of other health benefits that make it worth adding to your diet a few times a week. You don’t want to consume too much of it, as many health experts say the mercury it contains can become a problem with frequent consumption. It’s a great source of protein and omega-3s as well so it does a lot for your body and your overall health goals. Look for wild caught tuna or safe brands that promote a low mercury rate. A three-ounce serving of canned tuna in water contains 0.6 mcg of biotin. Not only is turkey a great way to get protein to help build lean muscle, but as a source of biotin, it’s one reason why most Americans do not run a biotin deficit. Look for a brand of turkey that’s organic and antibiotic-free, and stay away from deli meat whenever possible. Keep in mind that turkey’s biotin content depends on the food that the turkey was fed. Fresh and chemical-free is always best. You’ll see turkey included on some of the most popular diet plans. Avocados are full of so many vitamins, minerals, and other healthy things like protein and fiber, that it’s no surprise that you can use them for added biotin. They provide a good portion of healthy fat as well, both monounsaturated and polyunsaturated, so no matter how you use them, in a recipe, on a salad, or on their own, you’re going to get a good boost of nutrition. One cup of cubed avocado contains 5.40 mcg of biotin, which is 18 percent of your daily recommended value. 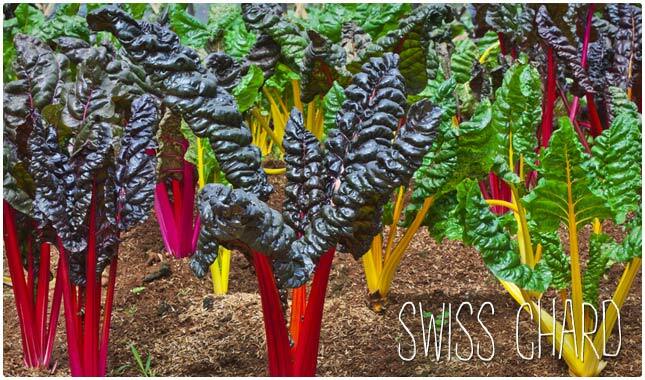 Swiss chard often gets overshadowed by other leafy greens like spinach and kale, but it’s every bit as healthy and can help you keep your biotin levels where you want them. In addition to all of the vitamin A they provide, they’re also full of fiber, magnesium, and vitamin C. It’s an all around good-for-you green that you can use in salads and smoothies for better health. Most people know that eggs contain a healthy amount of good fats, protein, and vitamin D, all without the carbs or sugar. This makes eggs an excellent food to eat for weight loss. Additionally, one hard boiled egg also provides you with about 10 mcg of biotin. This might go without saying, but make sure your eggs are cooked as raw egg whites contain a compound called avidin that has been shown to inhibit biotin absorption. Here are some other health benefits of eggs to be aware of. A three-ounce serving of canned salmon in water contains 5 mcg of biotin. But we recommend eating fresh salmon over canned, and always go for wild caught whenever possible. This is because farm-raised fish is subject to harmful chemicals and even food dyes to make the fish look healthier than it is. Here are some yummy salmon recipes we guarantee you’ll love! This snack usually seen being consumed on the baseball diamond is actually a great source of minerals like magnesium, and vitamins like biotin. Try to eat them raw so that you’re not getting the added trans fat from vegetable oil that comes with dry roasted sunflower seeds. Buying organic is also a good idea, since conventional seed farming involves the use of plenty of chemicals. A one-quarter cup serving of sunflower seeds contains 2.6 mcg of biotin. Eating beef liver is not quite the same as eating beef, as it has loads more minerals in it, as well as additional vitamins, depending on the cut. You can be sure that you’re getting a good boost of biotin when you eat beef liver. It’s also a rich source of iron and magnesium but perhaps not as readily available as some beef. Visiting a butcher shop may be your best bet. Three ounces of cooked biotin contains a whopping 30.8 mcg of biotin! If you love the taste of peanut butter you’ll be happy to learn that it’s helping you stay on top of your biotin needs. A one-quarter cup of peanuts contains 6.40 mcg of biotin, which is 21 percent of your daily recommended value. When picking out peanut butter, be sure to pick out a brand that is organic and doesn’t contain any added sugars. 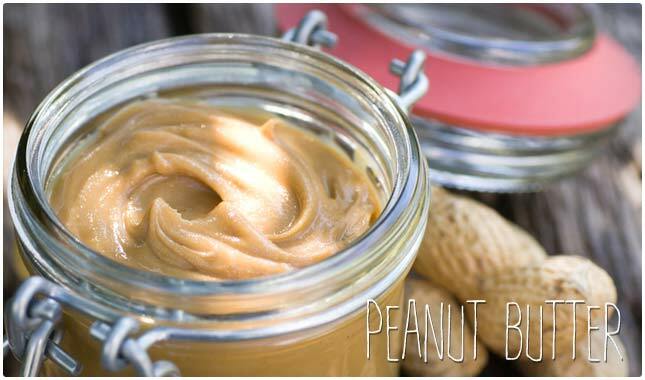 Here are some recipes to help you put your peanut butter to good use. A one-ounce serving of mild cheddar cheese contains 0.4 mcg of biotin. If you’re not intolerant to cheese, try addng some to your salads with tuna, salmon, or turkey for a boost of biotin to leave you feeling energized and give your hair, skin, and nails a nice glow. Cauliflower is a very versatile food that you may want to start eating more of, not just because it contains biotin, but because it’s a cruciferous vegetable known to help with diseases like cancer and heart disease. A 100 gram serving of califlower contains 17 mcg of biotin. Try using it in the form of rice to replace the starchy stuff or even replace your standard pizza crust with one made out of cauliflower to avoid gluten. For more suggestions, try these top cauliflower recipes to help you lose weight. Whole wheat bread is often considered a healthier substitute for white bread, but these days it is also being held under the microscope because of the gluten it contains. Be that as it may, it’s also a good source of biotin and can help you reach your grand total for the day. It’s a surprising source of protein as well as iron, but can also be trouble on a carb-conscious diet. One slice of whole wheat bread contains anywhere from 0.02 and 6 micrograms of biotin. Sardines don’t enter the menu too often, but they should be reconsidered as a go-to food source. They’re packed with omega-3s and they provide a good amount of protein, as well as other vitamins and minerals like biotin. You may have to be creative to figure out how to eat more sardines, but it would be worth it. Some people eat them with eggs in the morning or top their pizza with them. No matter which type of berry you go with, chances are high that you’ll be taking a big step towards getting enough biotin. The added bonus is that most berries like blackberries, blueberries, and strawberries are high in antioxidants, which can help you stay healthy and ward off things like cancer and heart disease by protecting you from free radical damage. A one-cup serving of strawberries contains 1.58 grams of biotin, which is five percent of your daily recommended value. Almonds make a great anytime anywhere snack and since they provide such a nice crunch they can help you kick junk food cravings like potato chips. 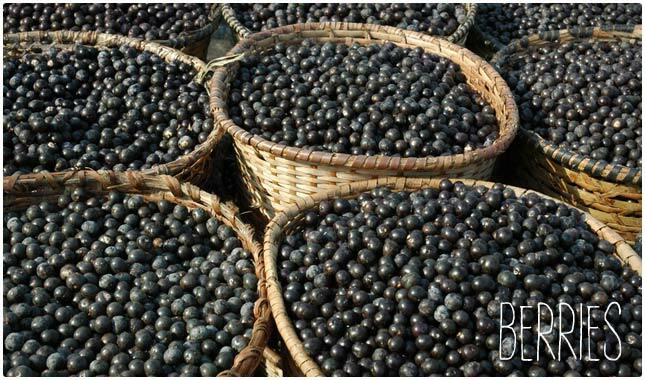 They’re an excellent source of biotin and have plenty of calcium as well as healthy fats. Just be sure to keep your portions to a handful, since these can pack a lot of calories into a small portion. A one-quarter cup serving of roasted almonds contains 1.5 mcg of biotin. Bananas are always suggested as a way to get your potassium needs met, but they can also be used to get more biotin. Highly portable and naturally wrapped, these are a great way to get an energy boost during the day because of that potassium. They also have fiber to help you out with your digestion, and can be used in a number of recipes, as well as smoothies for added sweetness. One banana contains 0.4 mcg of biotin. Pork may not rank high on the list of healthiest foods, unless you’re on the ketogenic diet, but it does contain biotin in larger amounts than other foods, and made our list. If you select lean cuts of pork, you’ll sidestep the fattier pieces and get a good dose of protein, while keeping calories down as well. A three-ounce serving of pork chop contains 3.8 mcg of biotin. Soybeans are a decent source of biotin, as well as key health factors like protein and fiber. They are often used as a meat substitute in vegetarian cuisine, and there are many ways to prepare it, include tofu and tempeh. This makes it a good source of biotin for vegetarians and vegans looking to maintain healthy biotin levels. Sweet potatoes are one delicious way to get your biotin needs met! A one-half cup serving of cooked sweet potatoe contains 2.4 mcg of biotin. If you’re running out of ideas on how to enjoy these babies, try checking out this article for 19 recipe ideas. 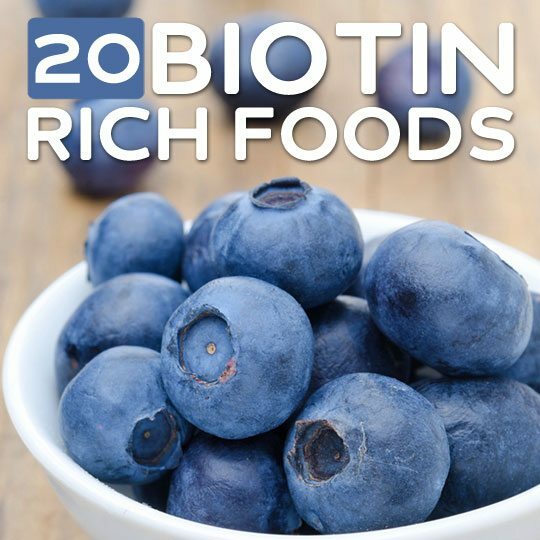 I think that if this page is about biotin rich foods, you should note the amount of biotin in every item you eat and how much of it should be eaten to obtain that amount. It doesn’t help me to say mention a food, say it’s a good source of biotin and then tell me the exact amount of iron (not biotin) Also, the page should give obvious size listings for the quanty. I found it puzzling to have noted 100grams of swiss chard/Bananas. who buys swiss chard/bananas by the gram? No, it’s not just you. I believe if you went to WHfoods.com, you’ll find what you’re looking for. I enjoyed this page about food rich in biotin. Pls is it the yolk of egg that is rich in biotin or the white? Id agree that having the amount of biotin each food contains would’ve been useful. But its also good to know the listing of the foods that contain biotin. . . I find this article very useful, and I don’t need amounts of biotin listed. I’m happy to see I already eat several of the items, and probably get enough biotin. However, I’ll include more avocado and mushrooms after reading the article. Google can help me with the amounts, if I need to, but I don’t, because I want to eat a variety of food anyway, and not just the one with the most biotin, as I also need other vitamins to stay healthy. The above coments from DMB are corect, this is a usless article. AHHHHHHHHHHHH gordon is lazy & can’t do any work for himself. It is too much work to pick up a book & look up the nutritional value of Biotin. Sorry, gordon, guess your gonna have to go through life & loose out on a lot of things. You will soon learn that you are not spoon-fed all you would like to be. Sometime you have to look things up on your own! Same goes for a lot of people who wrote before you. LAZY LAZY LAZY!!!!!!!!! Fyi, Biotin is water soluble. Which means your body will not store it. It will eliminate any excess. GMat, your comment was very helpful & informative! I am sure it was not the type of data t gordon would be interested in, but who cares about him. He only want to be fed the world. Thank you again. *I* appreciated your comment. Ok, so the article doesn’t give you the precise information that you want …but It does give you information. Please, its up to you to use that information to find out exactly what you need to know and stop blaming the article for not telling you the exact amounts you should be eating. I have B12 injections, can I have B7 injections too, for Biotin intake??? I eat most of the food on the list, but my nails are still very weak!!! My skin and hair are normal just have problems with my nails, just fingernails toe nails are strong!!! If you Google biotin rich foods, there is an article from livestrong.com that provides foods rich in biotin, along with amounts of biotin in each food. Found the article very helpful. It answered the general questions I had about what foods to eat to make sure I am getting enough Biotin in my diet. I already eat many of the foods on the list on a weekly basis, so I’m good! Thank you! Honestly so helpful my hair as well as my grandma Lily’s fell out with free increasing my daily intake of these things especially peanut butter. It only stuck to my hair. I suggest ghee for hair growth as well as African black soap. I LOVE AFRICAN THREADING. Thank you.This articles are very helpful…This is one of my important part of experience…. I should eat more healthy foods in order for my nails to start growing again!